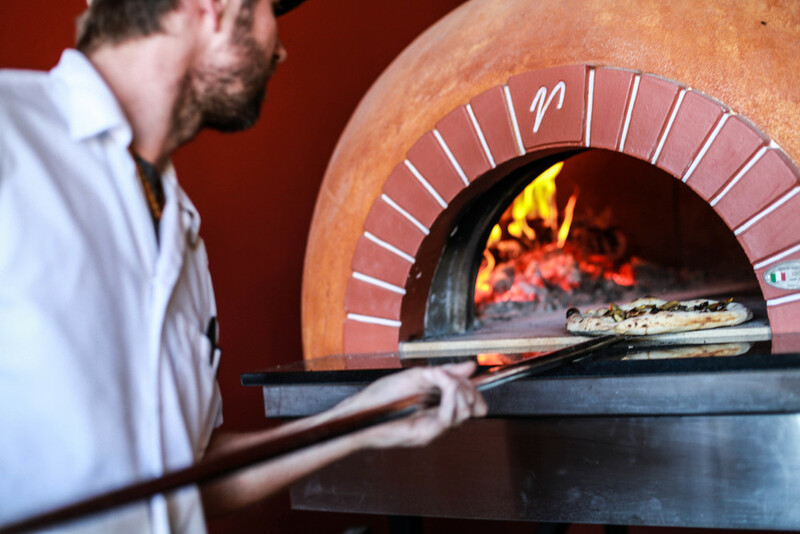 Three Forks Bakery & Brewing Co serves wood-fired pizza, craft beer brewed in our 7 barrel brewhouse, regional wines, hard cider, artisan breads, baked goods, soup, salad, sandwiches, fresh drinks, loose leaf tea, espresso and coffee. We source as much of our food as possible from local organic producers. Our coffee and teas are organic and fair trade. Our menu changes weekly - it's fresh, simple, and based on what is available locally in each season. We look forward to serving you great food and beer! Please join our mailing list to receive our weekly menu and find out about special events. We do not take phone in to go orders after 6pm (thanks in advance for your understanding). Kitchen closes 30 minutes before bar. Lunch menu available starting at 11:30am (soup from 10am-close).